In my previous post entitled “The Nifty Fifty” project, I shared that I want to create fifty works of art in each of five different categories. I’m a little behind schedule, but here’s Abstract #1 of “Fifty Abstracts”. 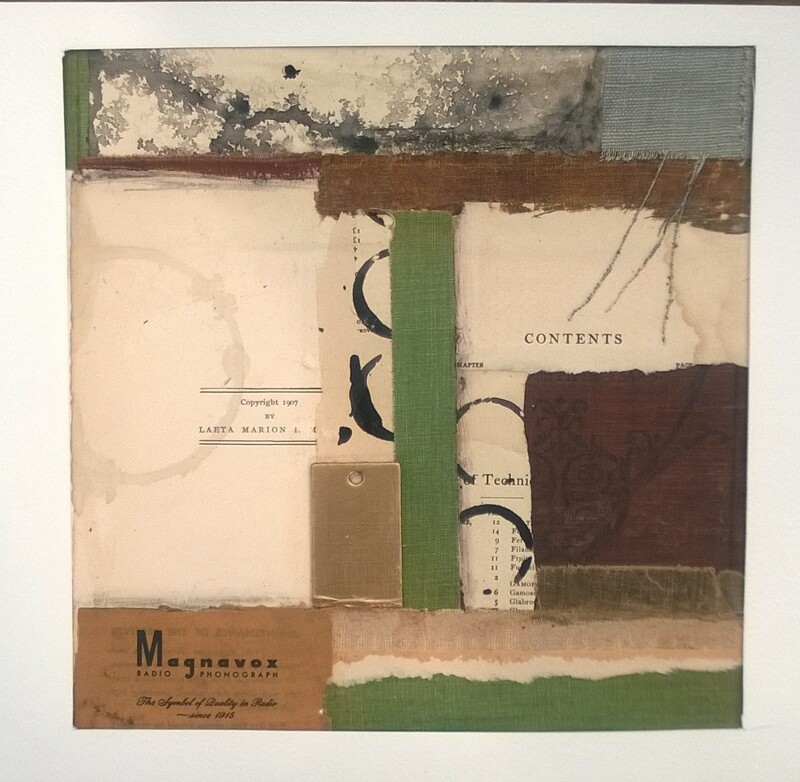 I created this piece using papers and covers from deconstructed antique books. It’s always fun to be looking for these treasures at tag sales and thrift shops. I did, however, want to use at least one “new” piece, and chose a sturdy tag from a recently purchased garment. It was painted with Golden Iridescent Copper and then Bronze. The fun surprise was when I took the piece outside to photograph it. 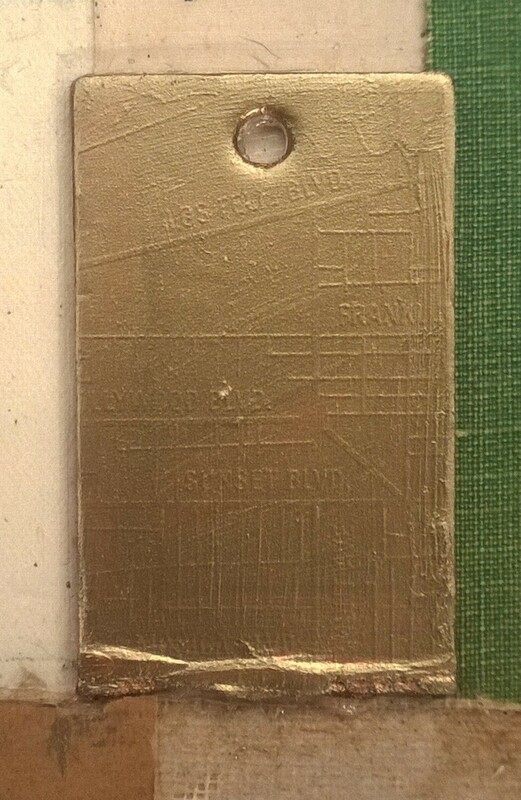 The tag is embossed with a map of the Sunset Boulevard area! Cool. I’m attempting to be disciplined and work on art everyday, even if it’s only for 20 minutes. I’ve already found that this practice is paying off, as I feel more creative and have a few more pieces to share in the near future. Thank you, Debi. This was one piece that came together fairly easily and was a lot of fun. Love it! Collage is just so much fun! Thanks so much. I agree that collage is such a fun medium. I like this. Spare and elegant. Thank you, Claudia. Have a great week. This is inspiring Melanie. I am still learning how to do collage and your art is helping a lot. Thanks so much, Carrie. Your art inspires me, too.